Fractured cheekbone and eye socket sees popular Kiwi sidelined. 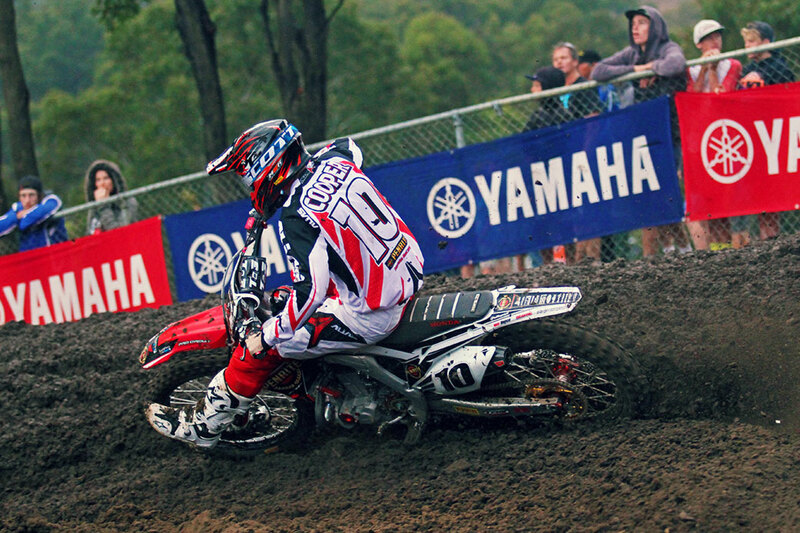 Penrite Honda’s Cody Cooper will undergo surgery this week on a fractured cheekbone and eye socket sustained at Broadford’s Monster Energy MX Nationals round. The incident sidelined the triple New Zealand Motocross Champion for the weekend after a bizarre incident during qualifying saw him make heavy contact with a trackside fence at the Victorian facility. With Josh Cachia forced out of MX2 just last week with ongoing wrist problems, Cooper’s exit from the MX1 opener marked a disastrous opening round of the 2014 season for Honda as it welcomed in Penrite as new title sponsor. “I was on my first fast lap of qualifying when I drifted a little wide going over a small jump,” Cooper explained. “I came off the downside of the jump where I collided with a makeshift fence that was much too close to the side of the track. The extent of Cooper’s injuries weren’t immediately evident, however it was soon confirmed that his cheekbone and eye socket would rule him out of Broadford. “Once my bike was out of the fence I got my bike going and started to head back to the pits, but was soon stopped by RACESAFE,” he added. “They were amazing at looking after me. I was then rushed off to the Royal Melbourne Hospital for further check ups and CT scan, where they also found I had a broken finger. Cooper isn’t yet certain when he will make a return to the 10-round series. Honda’s plans are also yet to be announced.